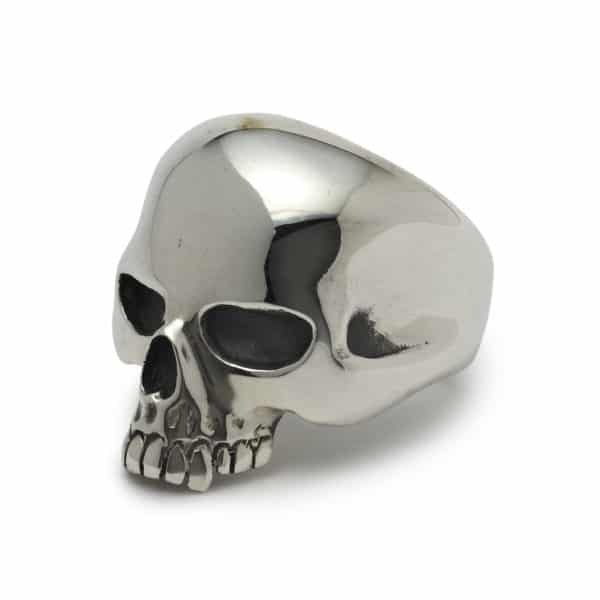 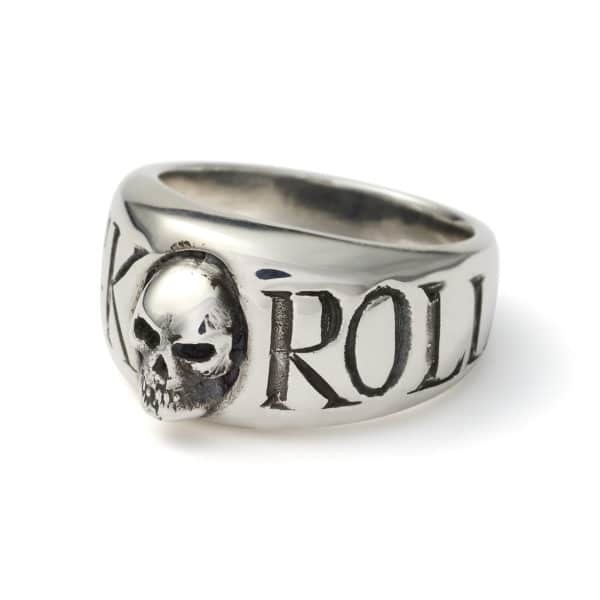 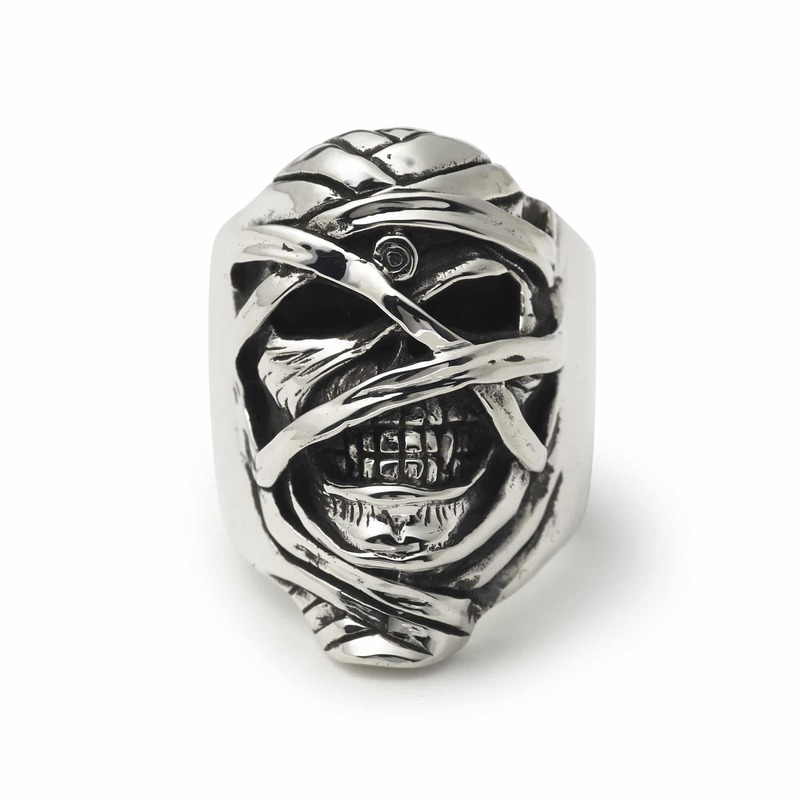 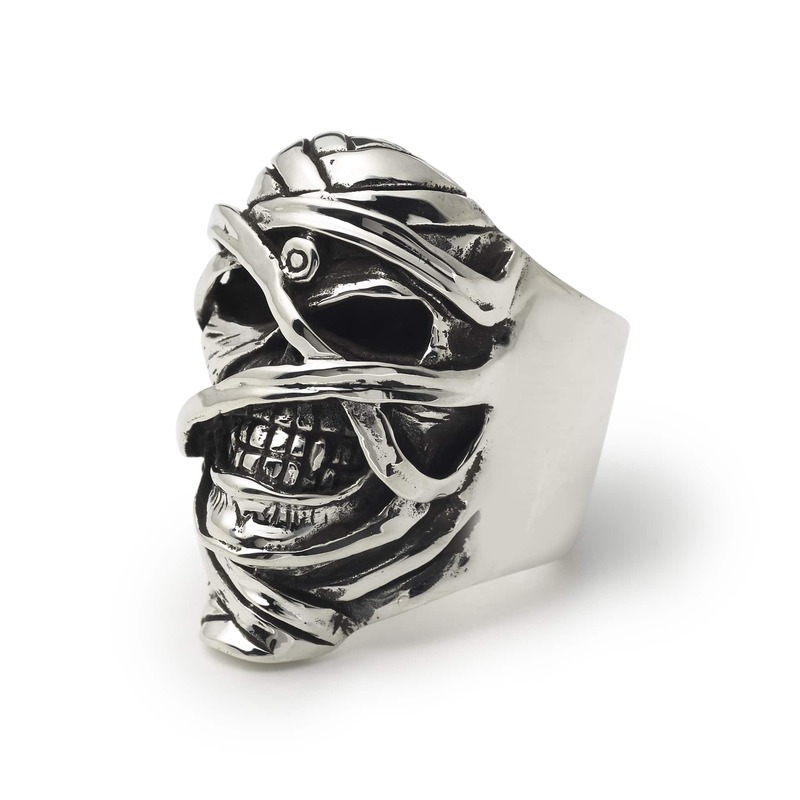 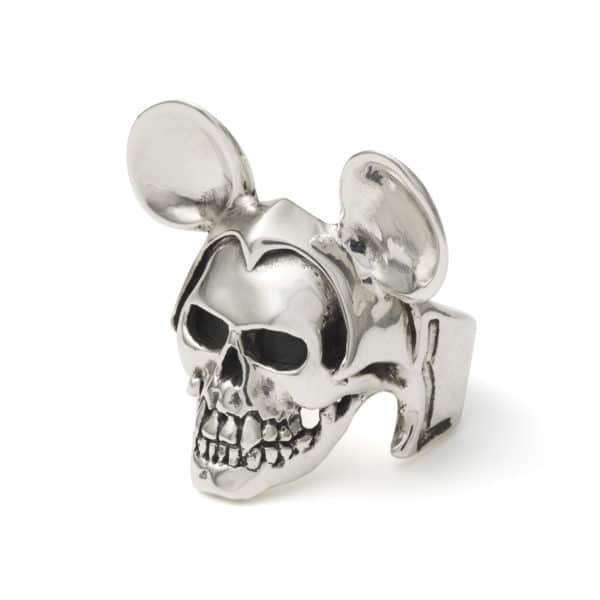 The Great Frog are proud to present the first of four official Iron Maiden rings, ‘Powerslave Eddie’. ‘Powerslave Eddie’ is named after Iron Maiden’s iconic mascot of the ‘Powerslave’ album era and features the mummified Eddie on the band’s celebrated 1984-1985 World Slavery Tour artwork. 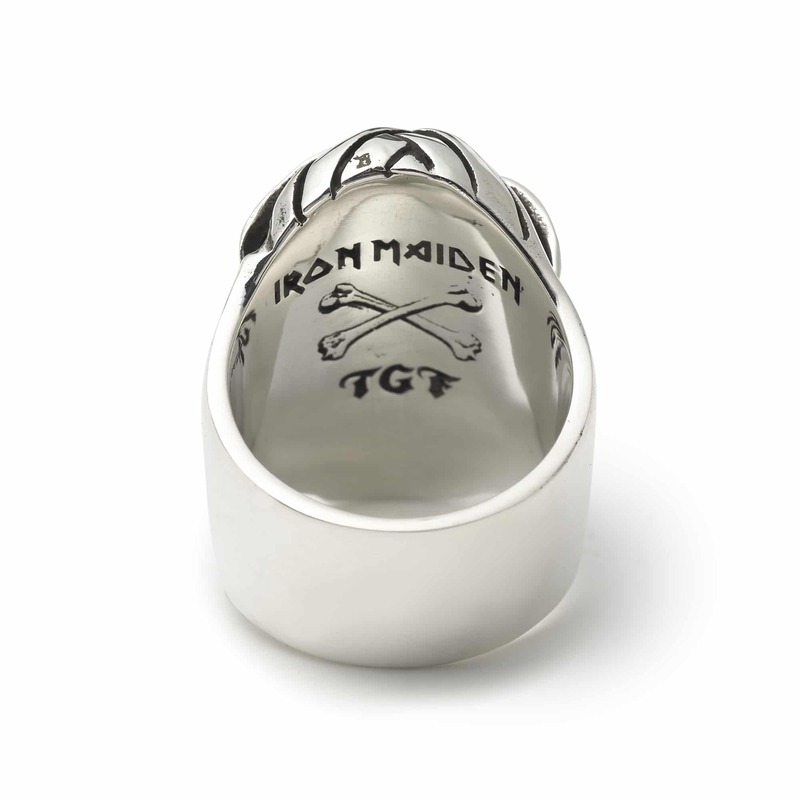 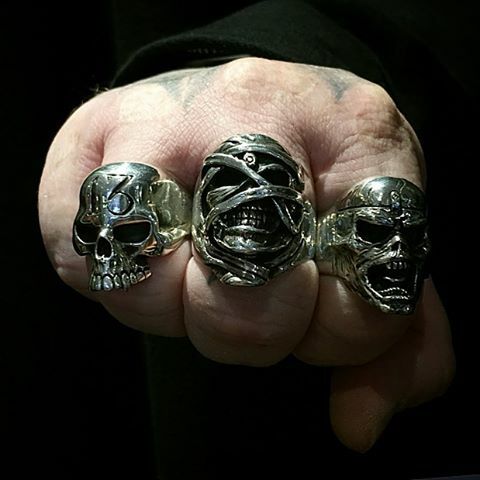 Cast in British 925 sterling silver each ring is individually numbered and comes with a Certificate of Authenticity and signed letter from TGF owner and designer Reino Lehtonen-Riley.